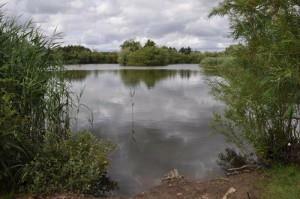 Holmehave Fishing lake is beautifully and peacefully located in a forest with abundant wildlife. The lake is a former gravel pit that is filled with groundwater. Holmehave Fiskesø has a water surface of about 2 ha and a depth from 1 to 5 meters. Fish: Rainbow trout (stealheads), brown trout, arctic char, brook trout, golden trout (the hottest summer months). Facilities: Tables and benches, toilets, cleaning areas. Fishing license: Fishing license has to be purchased in payment pavilion. Fishing with two rods per. fishing license is allowed. Catch limits: 5 trout per fishing license.